Where Are the Million-Dollar Women? These are the best of times and worst of times for women entrepreneurs. Thanks to record-breaking levels of investment in startups, women potentially have access to millions of dollars in capital in a way that was unthinkable one generation ago. When my business, Little Pim, passed the US$1-million mark a few years ago, a journalist contacted me for an article about the handful of women whose businesses were making “high revenues.” She reiterated how so few women business owners made more than US$1 million in revenues. Why are so few women running large-scale businesses? When I set out to raise venture capital (VC) for Little Pim, I discovered more disheartening realities: only 7% of VC dollars get invested in women-run businesses, and women are twice as likely as men to cite running out of cash as the main cause of shutting their doors. Study after study has shown that higher startup capital correlates to higher revenues. In the spirit of supporting women-run businesses, I decided to help bridge the gap by teaching women how to access funds in the crucial growth stages of their companies. By helping them have the right mindset, skills and networks, I set out to help exponentially more women get to US$1 million in revenues. From my own experience, having a one-year runway of cash and access to growth capital was critical to taking my company into the seven figures. Every entrepreneur makes mistakes, and having the capital to get you through the dips before you find what works can make a fate-determining difference. Initially, I taught women how to raise angel capital and VC in my conference room; this turned into a one-day boot camp called “Double Digit Academy,” now held twice a year in partnership with Morgan Stanley. Three years later, 50 graduates of the academy have raised a collective US$10 million and are on their way to joining the million-dollar-women ranks. Why did I take time away from family, friends and Forum to teach other women? I truly believe, to quote Sheryl Sandberg in “Lean In,” that women need to “see it to be it.” When women access wealth, research shows they invest in their communities, children’s education and other women entrepreneurs. The ripple effect is tremendous. Investing time and capital into training and supporting women entrepreneurs produces more capital and global economic growth. While raising capital does not guarantee women success, having enough runway to make a few mistakes often does. Women globally who want to “go big” and who have the grit, domain expertise and smarts to do it, deserve that chance, and I can’t wait to see the amazing companies they will create in the next decade. In the next decade, let’s all team up to ensure this is a time when women can achieve their full potential in business. EO is already doing this globally through its EO Accelerator programs, mentorship opportunities, peer-to-peer support and initiatives like EO Ellas and SheEO. The opportunities for further engagement are endless. Let’s pave the way so that for the next generation, the question can be how to become billion-dollar women! 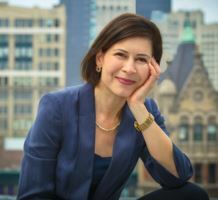 Julia Pimsleur is an EO New York member and the author of “Million Dollar Women: The Essential Guide for Female Entrepreneurs Who Want to Go Big,” a forthcoming book to help women raise capital and build multi-million-dollar businesses. Julia is also the founder and CEO of Little Pim, a company that teaches second languages to children; chair of EO New York’s EO Accelerator program; and has served on her chapter board for three years. Email Julia at julia@littlepim.com.